As an avid traveler, if I find myself worrying about something it’s usually something like missing a flight, losing my passport, a hotel not having my reservation, etc. But one thing I’ve never really worried about while travelling is encountering a snake. Yes, I never travel without the sweet lolly variety you’d find at the grocery store. But despite the odd nightmare of snakes on my plane (thanks Samuel L. Jackson), I never really thought about the types of snakes I might encounter while travelling. Being Australian, I was of course well aware of the sheer number of venomous snakes present throughout my own country. After all, half of the world’s top 10 most venomous snakes are found here. But as a nature enthusiast and avid hiker, my travels have seen me run into snakes in almost every country I’ve been to. For the traveler who spends time in the outdoors, trying to avoid snakes completely is nearly impossible and in doing so, you would miss out on some truly remarkable places. 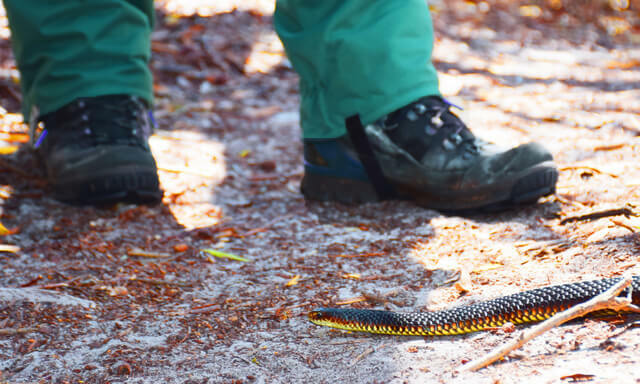 By protecting yourself against snakebite vs. avoiding snakes, you can enjoy exploring anywhere your wanderlust cares to take you. All photos in this post are our own. You can find snakes just about anywhere you decide to travel. Over 3,000 snake species exist with around 600 of those considered poisonous. Unless you’re headed to New Zealand, Ireland, or to see penguins on the ice, you have the potential to come in contact with a snake. They’re present on every continent except for Antarctica. Though don’t fret yet! Not all snakes are dangerous; non-venomous varieties also exist on every continent where snakes are present. Also, very few people actually ever die from bites. Most snakes would rather to slither away than have a confrontation, and don’t aggressively bite things out of malice. Snake venom is used to subdue prey which would otherwise be impossible to eat, so they don’t generally like to waste their venom. That being said if their only escape route is past a human with a shovel they are likely to react aggressively! Copperhead, Tasmania. Those are my legs. If you’re planning on hiking or spending time outdoors on your next trip, we recommended that you familiarize yourself with potential snake hazards, and know what species you may come in contact with. If you plan on heading outdoors in your chosen destination which most of us will, there are certain safety measures which should be taken in regards to snakes. Even if you’re planning to hang around the city or will be lounging on the beach, poisonous snakes can still be present. If you’re lazy and wish not to practice snake safety or find yourself extremely Ophidiophobic (person afraid of snakes), then you best head to Ireland, New Zealand, Greenland, or Iceland as you won’t find any wild snakes in any of these destinations. Despite popular belief, Saint Patrick did not banish all the snakes from Ireland, they were in fact never there to begin with. Although venomous snakes can be found everywhere, the following tips will help you avoid snake bites or aid you should you be bitten. ➡ Wear closed toe shoes when walking around grassy areas or bushland. ➡ Familiarize yourself with snake species so as to identify what bit you to aid in antivenom treatment. ➡ Never handle wild snakes. Snakes are unpredictable and even trained professionals get bitten from time to time. 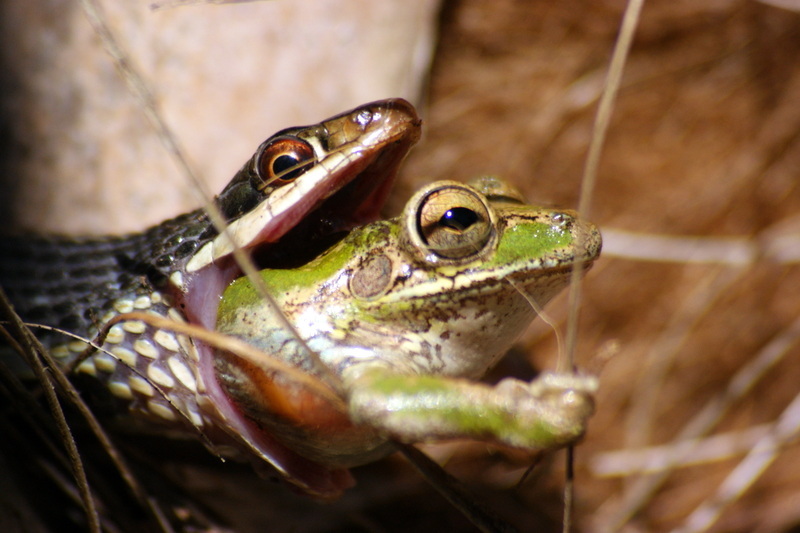 ➡ Learn First Aid treatment for snake bites. ➡ Protect yourself with travel insurance as snake bite treatment in countries like the U.S. can be extremely expensive. ➡ Wear protective snake gaitors when hiking through regions known for a high presence of snakes. 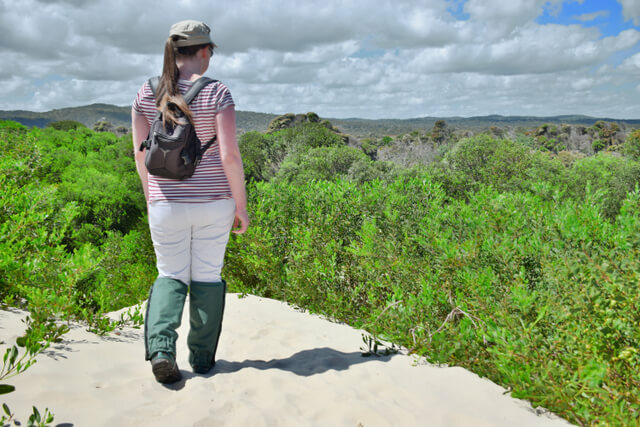 By far one of the best preventative measures you can take to avoid snake bite is by purchasing protective snake gaiters. These are garments worn over the shoe and pants of your lower leg. This is the area you are most likely to be bitten and by protecting that area, you will greatly diminish your chances of a venomous snake bite (unless you stupidly decide to handle one). But it’s important to note that not all gaiters are designed for snakes. 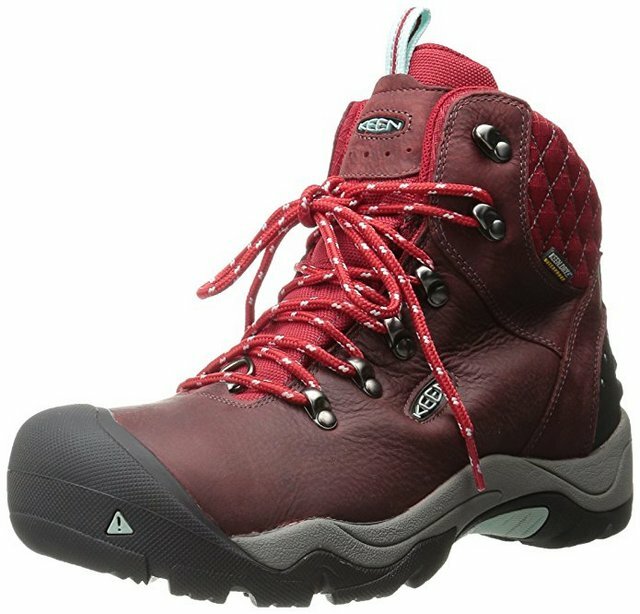 Most hiking gaitors simply protect you from thorns and branches or aid in keeping dirt and water out of your boots/shoes. So you’ll need to look for a product which has actually been tested against snake bite. You also get what you pay for when it comes to gaiters. Those colourful cheap eBay specials will do very little if anything to protect you from even small twigs let alone the powerful fangs of a venomous snake. So buy something legit. Snakeprotex Snake Gaiters are by far the highest quality, most rigorously tested gaiters that are specially designed to protect you from the most dangerous snakes. Conceived in Australia, these babies have been put up against some of the world’s most venomous snakes including the Taipan, Tiger Snake, Eastern Brown, and Death Adder. Tests were carried out where the snakes were encouraged to bite the gaiters including chew tests which are long duration bites. In all bite cases, venom failed to penetrate into the garment proving just how effective the product is. What Makes Snakeprotex so Effective? ➡ Outer Fabric: Hard-wearing 600 denier Polyester with PU Coating. 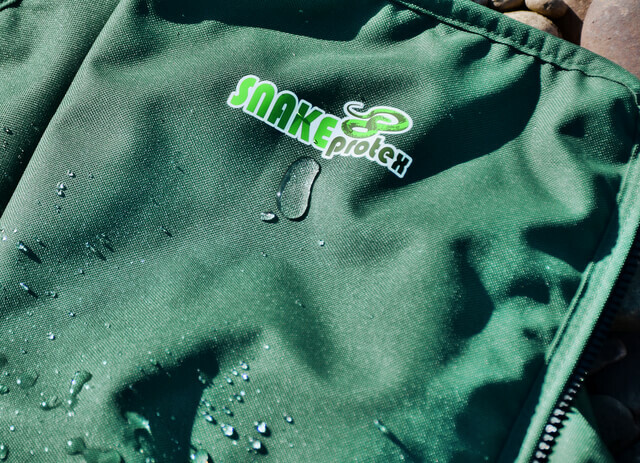 ➡ Padding: 4 layers of special Snakeprotex puncture resistant nylon fabric. ➡ Waterproof Membrane: Polyester PU Coated waterproof layers prevents venom soaking through to lining. ➡ Lining: Comfrtable soft Polyester Cotton fabric. ➡ Attachment: Well designed easy zip system along with quality rubber shoe/boot strap. ➡ Reusable: Ability to be used even after a venomous bite by removing any traces of venom with methylated spirits. Avoid all skin contact with venom wet or dry when cleaning gaiters. It’s very important to wear the gaiters correctly, fully zipping them up and securing them over appropriate footwear that extends well above your ankle. Growing up I would often go camping in the bush and hike from time to time but never really remember running into snakes all that often. Flash forward and now it’s a different story. After having met a handsome photojournalist specializing in wildlife, I can now say I have seen my fair share of venomous serpents and can identify a great deal of them. Our time together has seen us living throughout Australia (land of poisonous snakes), Florida (home to venomous cottonmouths, copperheads, and Eastern Diamondbacks), and Arizona (rattlesnake capital of the world). Our latest round the world journey had us in South America (home to the Fer-de-lance and bushmaster), Africa (home to the black mamba and Gaboon Viper), and Asia ( home to the King Cobra and numerous kraits). We now find ourselves settled in Tasmania, where every snake found here is poisonous. I saw one on a bush-walk today! After trying several brands of gaiters, we found most of them to be ineffective, ugly and/or annoying to wear, or just plain cheap looking. But we finally heard about Snakeprotex, and they’re now the only brand we recommend. 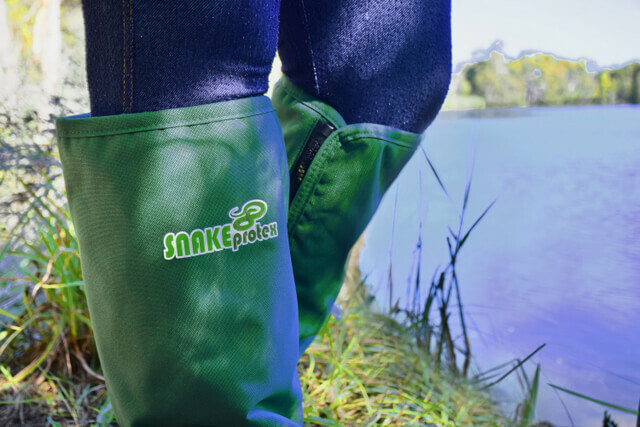 Snakeprotex Snake Gaiters look and feel like the quality product they are. They’re fast and easy to put on when you need them, and light enough to throw in your backpack if you don’t need them for half of your hike. And, call me vain, they look great! Knowing the technology and testing that went into them gives me the confidence to keep hiking, and the peace of mind that I’ll be fine even if I accidentally step on or near a venomous snake. When it comes to snake protection there’s no-one better to trust than an Australian company. These Snake protective gaiters were conceived in Australia, developed and manufactured in New Zealand (where there are no deadly snakes! ), then tested in Australia, on Australian snakes, to give snake bite protection to the wearer. For the nature enthusiast and outdoor lover, we highly recommend a healthy respect for these ever-present reptiles, and wearing your Snakeprotex! You don’t want to be hanging on for dear life … like this guy! Taken in the Florida Everglades. Haha love it! Yes they usually prefer to go in peace and just slither away! Those look perfect for me. No, I am not where there are snakes. But, there are things in my yard that provide the equivalent of such bites that annoy the XXXX out of me for a week after cleaning up twice a year. Awesome Roy – yes, they would definitely help guard against similar creatures which have a taste for human flesh when gardening!!! I live in the “rattlesnake capital of the world”, and I came across them quite often. The first time, during one of our camping trips, my then-four-year-old son spotted a huge diamondback slithering under our car. We stepped back quietly, and watched him from a safe distance, and he did not bother us at all. Hiking through the desert we come across rattlers often, laying in the sun, sometimes in the middle of the trail. We walk around them and they don’t even move. Yes, you are right, they are not there to get you, but we need to be aware of them, so we won’t step on them or ride our bike on them by accident. I never heard about snake gaiters, but they seem great, especially if you are outdoors a lot around snakes. I might have to check them out. Thanks for writing about them and thanks for a great article. We loved living in Arizona! Were there for a year, and have such fond memories of our time there. Glad to hear that you have a respectful appreciation for the snakes in your area! 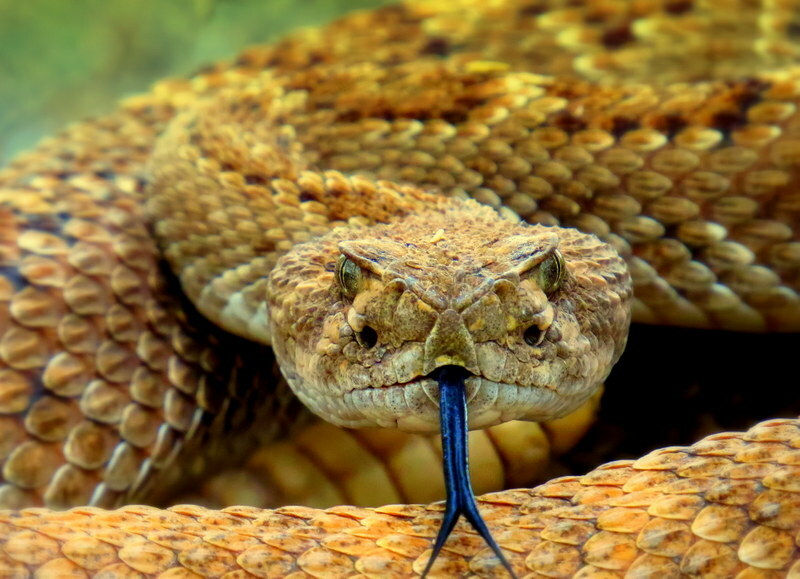 They’re actually quite beautiful creatures when you look at them closely, especially rattlesnakes – intimidating though for sure! Glad you enjoyed the article! Happy hiking & happy holidays! This is a great post but forces me to relive my nightmares. Whenever I’m stressed I dream about snakes, and so over the last five years or so, have started to develop something of an aversion to them. I like the idea of protecting against them even though I am the notoriously naive tourist walking into overseas nature. I’ve even had to jump over snakes on some of my overseas Runs! Glad we could help you out with some suggestions for your next nature walk Anne :) … though sorry to prompt an unnecessary nightmare!! The Snakeprotex are incredible – if you find yourself running into snakes a lot, I would highly recommend buying a pair. The peace of mind alone would probably solve those nightmares! I never thought about running into a snake during my travels either. 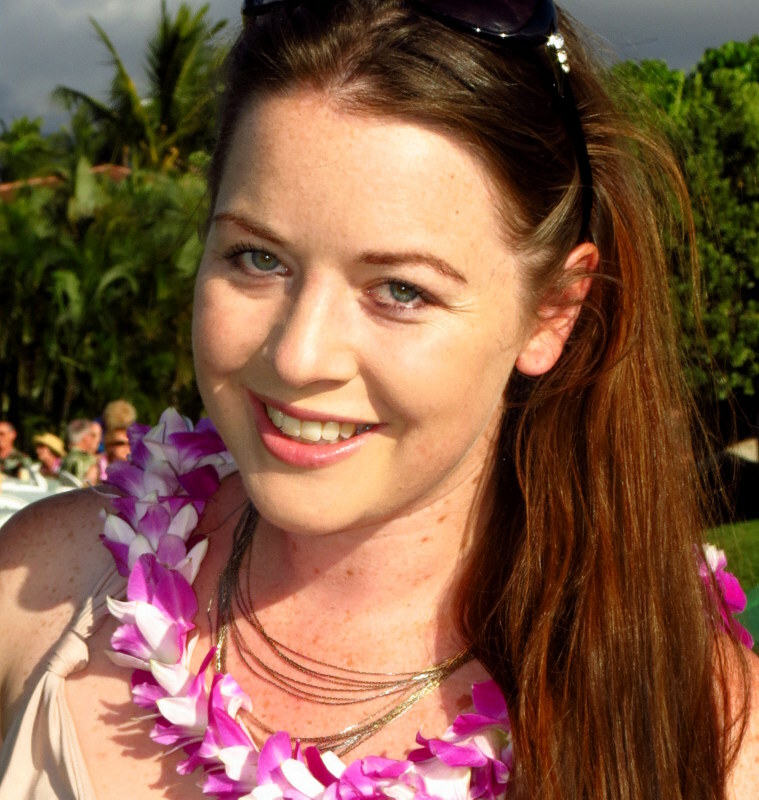 Costa Rica did have me raise an eyebrow or two but never thought about snakes. This is a great post because I am afraid of them, I well definitely look into the Snakeprotex. We saw a couple in Costa Rica – the hiker in us always seems to seek out the most wild parts of a country :D Glad we could suggest Snakeprotext – huge fan of them, the peace of mind is one of the biggest things! I have to admit this post gave me chills. Therefore, I hope I will never need to put your advice into practice. Besides of the venom, a snake may carry, I would be more concerned about having a heart attack the moment I see him around me :)) However, from now on I will think about the possibility of meeting a snake during my travels and maybe I will even consider buying Snakeprotex. Haha sorry about that!! The biggest thing to remember is that they don’t actively want to hurt you, despite their scary reputation. So if you do come across one when out walking or hiking, try to give it a wide berth, and no need to freak out or try to attack it. It’s first instinct will be to slither away. I have to admit that during my first trip to Australia, I was reluctant to go on any hikes not for the fear of snakes but not knowing how to be prepared (and friends I asked didn’t know either) Enter Snake gaitors! Who knew!? Great tips for being prepared for – what it sounds like for you — an inevitable encounter with snakes! Good to hear the most snakes would prefer not to engage with humans at all! Glad we could help you out Dorene – yes, there’s some incredible hiking in Australia and you definitely don’t want to miss out :) Snakeprotex is a great way to approach hiking in snake territory – probably also the easiest way to prepare :) Can highly recommend them. Snake gaiters seem life saviors. Any successful story of any user? Absolutely Indrani – luckily we haven’t been bitten since we’ve had ours, though we’ve come across many that have slithered away :) I think they’re definitely more scared of us than we are of them!! We lived in Arizona for eight years and logged thousands of miles hiking there. But we rarely came across rattlesnakes. The most common place I would see them was right in front of the door to my bank branch. I was the branch manager and was on a first name basis with the fire department, who came to remove them at least weekly. Guess they liked the heat of the building! Funny how you find them in the most unlikely places! Glad you had the fire department on call! We’re avid hikers, so this is extremely helpful! I learned an incredible amount from this. I can’t believe there are 3,000 snake species and 600 are poisonous! Incredible! Also, I never really had thought about protecting ourselves from snake bites or that there might be perfect options like gaiters to help! Glad the post was helpful for you Kate! Yep, the world has a lot of different species of snakes! I think this product is quite useful for people working in the wild. I know too many people who have not survived a snake bite. In addition it would be a great idea to learn to distinguish between venomous and non venomous. egh…I don’t like them though! Hi Nisha – so sorry to hear that you’ve lost people to snakebite :( Yes, these snake gaitors are absolutely fabulous when you’re hiking (or working) out in the wild. 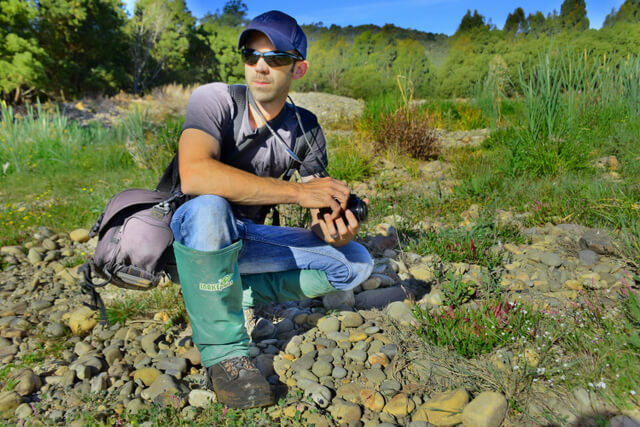 Agree that it’s very useful to be able to distinguish between different snake species – my husband is a walking talking encyclopedia on this, so I’m slowly learning from him! These boots sound like lifesavers! I know snakes don’t usually attack and are more scared of human beings than we are of them but if you like exploring the outdoors, chances are, you will come across reptiles of all kinds and I have actually lived in cities in India where we used to find snakes in our backyard or even our homes sometimes! Despite that, I’ve grown up with a fear of snakes and prefer to stay away from areas which are known to have many. Thanks for the info about these boots, it’s very helpful ! Very useful though, especially if you have many snakes in your backyard, they would be great for when you’re gardening. Like you, we have many poisonous snakes here in California. Especially rattle snakes. I’m always terrified when am out on the trails, walking my dog. She likes to chase everything that moves. You have a lot of great protection equipment for humans here. I wish there was something like that for dogs too. Although she probably wouldn’t like to wear a sturdy pair of boots, hahaha! 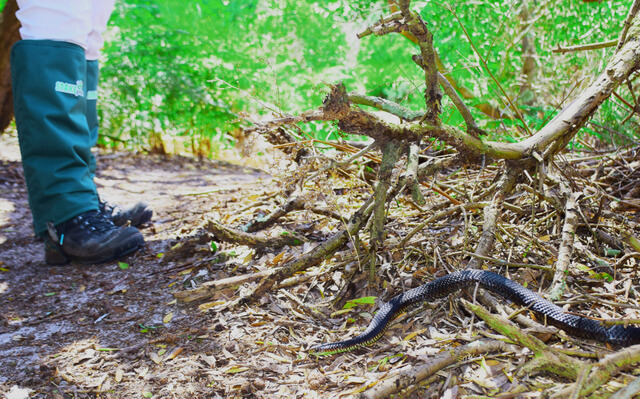 Can highly recommend Snakeprotex – we were actually out hiking wearing them today, the peace of mind is an incredible weight off your shoulders – one less thing to worry about. I hope you have a fabulous time in the Outback! Thanks. Picked up a couple pairs yesterday so will now have peace of mind. Happy travels. I think I will holiday in the uk. I know we have the good old British Adder, but not so dangerous eh’?